Additive manufacturing is a rapidly developing technology that builds 3-D objects through the successive layering of materials. These objects can be of almost any shape or geometry and are produced from metals and ceramics through the use of laser and other high-energy sources. Because of its unprecedented efficiency, limitless applications and a transformational shift in design, manufacturing and supply approaches, additive manufacturing and related technologies will be in high demand and use for the aerospace, biomedical, and oil and gas industries. This new technology is capable of producing higher-strength and more energy efficient materials as well as creating complex shapes and reducing the amount of material needed, wear and tear on parts and use of natural resources. 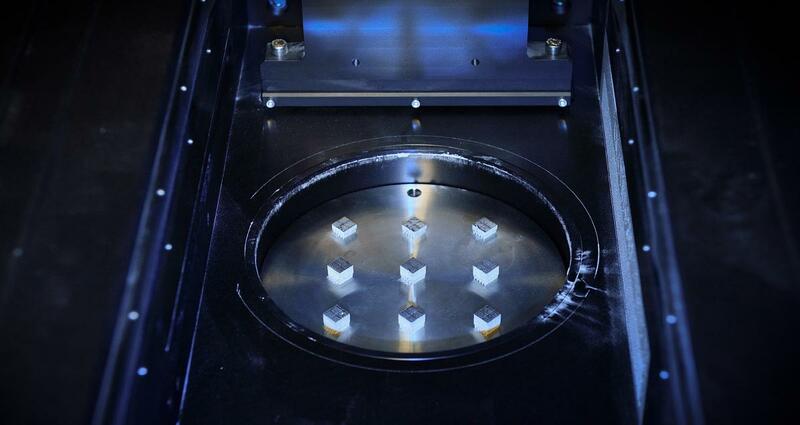 Additive manufacturing is ushering in a revolution in the worldwide manufacturing industry. UNT recently established a new state-of-the-art Additive Manufacturing Laboratory (AML) under the overall umbrella of the university’s existing Materials Research Facility (MRF) and sponsorship by the Office of Research and Innovation and the College of Engineering with the dual purpose of research and education. 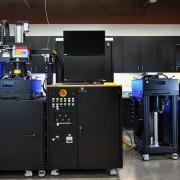 UNT’s AML is a comprehensive and centralized facility, bringing together both types of additive manufacturing — laser powder bed fusion, also referred to as selective laser melting, and laser-based directed energy deposition. UNT’s powder bed fusion system, the Aconity MIDI, is a unique, truly open platform and open architecture system that is designed for fundamental and applied research on additive manufacturing. The directed energy deposition system is a LENS 750 system that recently was upgraded. This system is ideally suited for deposition of graded alloys and composites, as well as for site-specific addition of additive manufacturing features and component repairs. The Aconity MIDI system is a cutting-edge 3-D laser metal printer based on the principle of powder bed fusion, also referred to as selective laser melting. This system can be used for advanced fabrication of complex shaped components using innovative metal alloys and metal and ceramic composites. The uniqueness of the system lies in its open platform and open architecture design that allows modification and addition of operating software and diagnostics instruments for in-situ process monitoring. Additionally, the machine also has built-in capabilities of high-speed photography and thermography of in-situ process temperature and physical aspects monitoring. Also, the capability of induction heating of the base seed plate up to 1200 C serves dual purpose of reducing development of thermal gradient during layer-by-layer building of the component and extends the capability to use high-temperature materials and ceramics. These unique features lend the machine to both fundamental and applied research of additive manufacturing. The Optomec LENS 750 Laser Engineered Net Shaping System is a highly ﬂexible 3-D printer based on the principle of directed energy deposition using a blown powder process. This system has been recently upgraded to include a 1.5 kW high power IPG fiber laser and a brand new powder delivery system with four independently controlled powder hoppers. Additionally, a melt pool sensor with a feedback loop to control the Z-height of the deposition also has been added to this system. 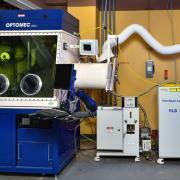 These upgrades have made this a unique LENS system suited for research and development of novel alloys and metal and ceramic composites tailored for additive manufacturing, as well as for fabrication of compositionally graded materials and in-situ composites. MRF’s advisory board sets equipment policies and rates for instrument access by UNT faculty and staff. All rates listed are hourly unless otherwise stated and are applied in 1 minute increments.